August M. Ventura received his undergraduate degree from Boston College in 2008, where he double majored in Human Development and English. Following college, Mr. Ventura worked for Ventura, Miesowitz, Keough & Warner as a Personal Injury Paralegal before attending Law School. 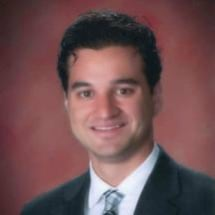 Mr. Ventura received his Juris Doctorate Degree from the Seton Hall University School of Law in May of 2014. Prior to returning to the firm, Mr. Ventura served as a law clerk to the Honorable Bradford M. Bury (J.S.C.) in the Chancery Division - Family Law Part in both Union and Hunterdon Counties. Mr. Ventura has also served two internships with the Union County Prosecutor’s Office (Fall of 2008 and Summer of 2012). Mr. Ventura handles cases in the firm’s Civil, Family and Criminal Litigation practice. He is a member of the New Jersey, Union County and Summit Bar Associations, and the New Jersey Association for Justice.